A delicious spain style potato omelet or tortilla de patatas recipe that originates from spain. This recipe is a simple family recipe that contains 3 simple ingredients: eggs, potatoes and salt. It can be used as a side or as the main course. Spanish potato omelets are easy to make. During my aunt’s visit from Spain, I was taught how to make Spain style potato omelets or in other words, tortilla de patatas. Do you fry the potato? However, if you want to make the recipe healthier you can always boil the potatoes instead. What can you add to Spanish potato omelets to make them even tastier? Onion adds a wonderful flavor into the potato omelet. However, this ingredient is optional. Let’s look at the spain style potato omelet or tortilla de patatas recipe. First, start by cutting the potatoes into chunks and then adding them to a pan. Add olive oil into the pan until potatoes are half to fully covered. Fry the potatoes in the olive oil on high. Add onion and salt( about 2 tbsp to cover all the potatoes, mixing as needed. Then turn the heat to low and let the potatoes cook. Mix 6 eggs in a large mixing bowl with 1 tsp of salt and set aside. When the potatoes are soft and cooked, turn off the heat. Drain the potatoes and add them to the bowl with the egg mix. Mash the potatoes into the egg. Make sure pan is sprinkled with olive oil to prevent sticking and return the potato/egg mixture to the pan. Turn the heat to medium to cook the first side of the omelet and then turn heat to around low once it starts heating up- you don’t want your omelet to burn. As the first side of the omelet is cooking, use a fork to push the outer edges of the omelet into the middle of the omelet( you are trying to give the omelet a tall shape). Cook the Spain Style Potato Omelet or Tortilla de Patatas for about 5-10 minutes, checking on it occasionally and using a fork to push the outer part of the omelet into the middle part of the omelet. When parts of the outer edges of the omelet start to look toasted/darker in color, its time to flip the omelet. Using a glass plate, place the plate face-up directly on the omelet and flip the pan over onto the plate. Then slide the omelet back onto the pan to cook the second side. You can do this back and forth until the omelet fully cooks on both sides. Remember to use a glass plate that fits almost the entire pan when you are flipping. Use a fork to continuously push the outer edges of the omelet into the middle, this will give the omelet a tall shape. Nonstick pan: They are the BEST. You don’t have to worry about messing up a recipe because nothing will stick on there. I especially love the large ones that allow you to cook so much food on them. (Hooray for leftovers!). Enjoy a taste of spain with this authentic recipe. On the side, mix 6 eggs in a large mixing bowl with 1 tsp of salt and set aside. Make sure pan is sprinkled with olive oil to prevent sticking and return the potato/egg mixture to the pan. Turn the heat to medium to cook the first side of the omelet and then turn heat to around low once it starts heating up- you don't want your omelet to burn. Using a glass plate, place the plate face-up directly on the omelet and flip the pan over onto the plate. Then slide the omelet back onto the pan to cook the second side. You can do this back and forth until the omelet fully cooks on both sides. Remember to use a glass plate that fits almost the entire pan when you are flipping. Use a fork again to push the outer edges of the omelet into the middle. 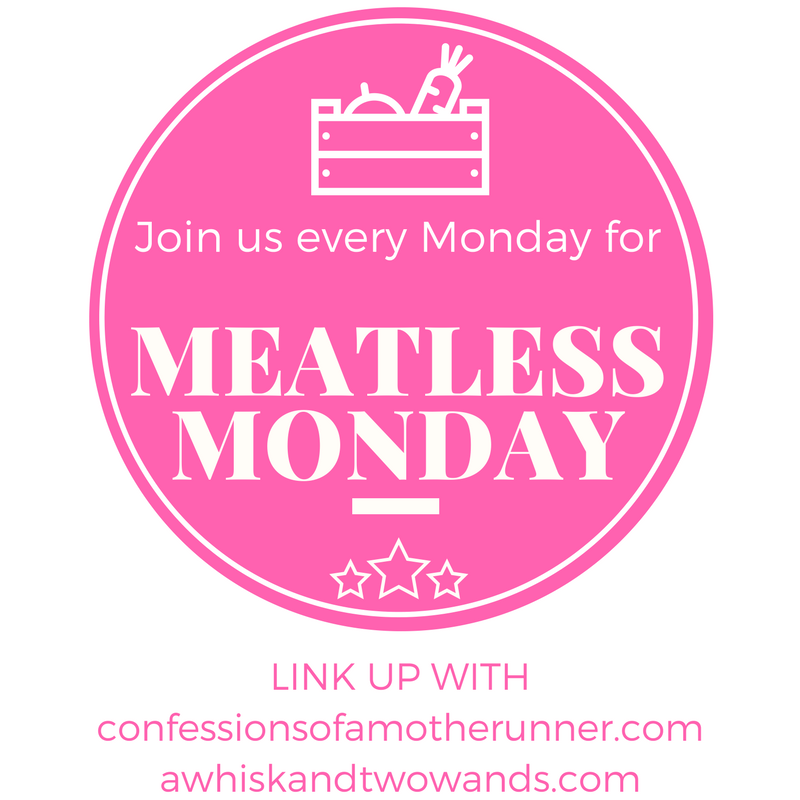 This recipe has participated in the meatless mondays linkup with confessions of a mother runner and a whisk and a wand. Subscribe for more deliciousness sent right to your inbox! Hi Michelle – Love your blog! All your recipes look yummy! I am going to try tortillas de patatas next week. Thanks for sharing. Happy Mother’s Day!